Just because leaders have made it to the top of the business world doesn’t mean they always have their noses in business books. I talk with top leaders in HR, business, and entrepreneurship every week on my podcast The Future of Work Podcast, and I enjoy seeing what these successful people are like outside the office. One thing they have in common: they all like to read. Their book recommendations show just how varied their personalities are. 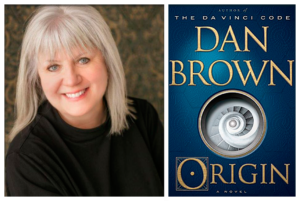 Teresa Roche, Chief Human Resource Officer at the City of Fort Collins, Colorado, picked Origin by Dan Brown because it mixes research with fiction and causes her to really think about ideas and places. It tells the story of Brown’s character Robert Langdon as he investigates a new discovery that could change the face of science. 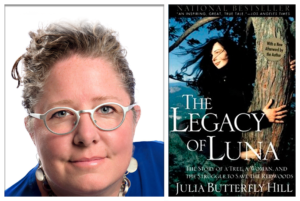 Heather McGowan, Co-Founder, Author, and Advisor for Work to Learn, recommends Legacy of Luna by Julia Butterfly Hill, which tells the story of a woman who climbed a redwood tree in California and stayed up there for more a year. Heather says the epiphanies and connections to nature the woman found while on top of a tree make for a fascinating book. 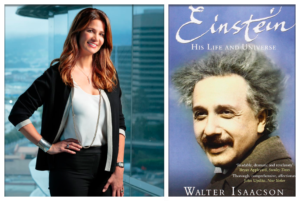 Jenny Dearborn, senior vice president and chief learning officer at SAP, is an author herself and recommends Einstein: His Life and Universe by Walter Isaacson. Jenny says the book doesn’t require a scientific background but is still phenomenally good and tells the complete life story of Albert Einstein. Tim O’Reilly, founder and CEO of O’Reilly Media, is a lover of poetry. 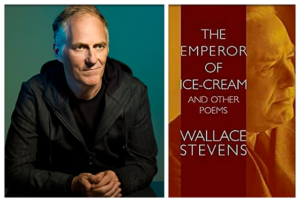 He recommends anything by the poet Wallace Stevens, whose work Tim says has become indispensable to him. Stevens is known for his modern work that showcased American life in the early 1900s. Tim also recommends East Coker, the second of T.S. Eliot’s Four Quartets, which he says is a special favorite. Georgia Collins, Senior Managing Director and Co-Leader of the Workplace Strategy Practice at CBRE, is an avid reader who particularly loves fiction. 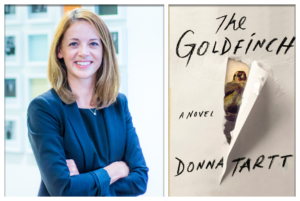 Although she says she doesn’t get to read as much as she used to due to her job and family responsibilities, she says her favorite recent book was The Goldfinch by Donna Tartt. The Pulitzer Prize-winning book tells the story of an abandoned boy and his love for art with captivating twists. Kimberly Samon, Chief Human Resources Officer at Weight Watchers, is a fan of historical fiction. 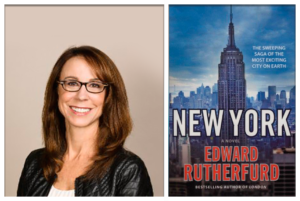 She recommends the book New York by Edward Rutherford, which tells the story of New York City from the time of the Native Americans to the modern day. At 800-plus pages, Kimberly admits it isn’t a quick read, but says it is fascinating and brilliantly written. Celeste Warren, Vice President of Human Resources and Global Diversity and Inclusion, Center of Excellence at Merck, is an avid reader of murder mysteries. 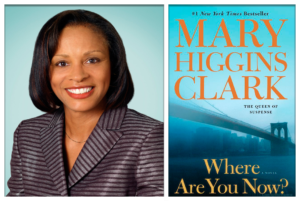 She is a fan of Mary Higgins Clark and can’t narrow her recommendation to a single book from her favorite author - in her mind, they are all good books. 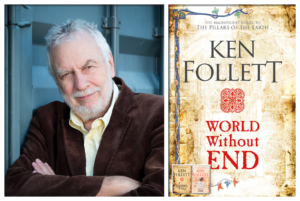 Tech pioneer and entrepreneur Nolan Bushnell, best known as the founder of Atari and Chuck E. Cheese, recommends the Kingsbridge series by Ken Follett, which starts with The Pillars of the Earth. The books are set in a fictional town in 12th century England and follows the conflicting ambitions of three men. Nolan says that the series is wonderful historical fiction. Perhaps the biggest takeaway from this list is that there’s no wrong thing to read. To expand your mind, just pick up a book. 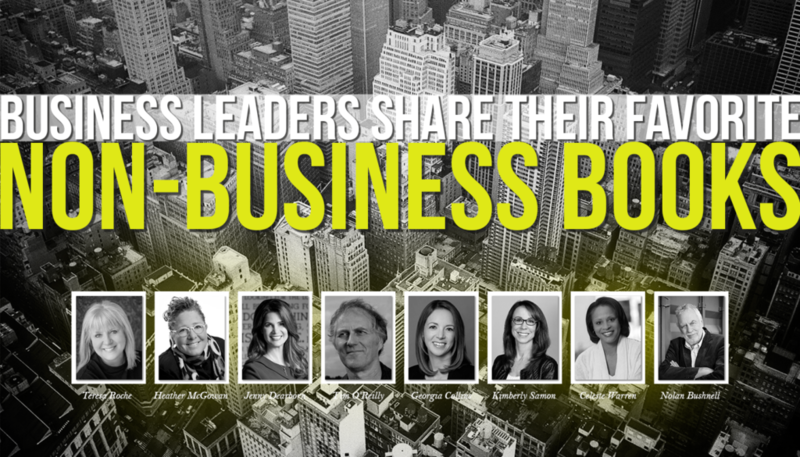 If you want to start thinking like an executive, read like one with these diverse and excellent book recommendations.